Pairing wine country with a good workout may sound like an odd blend but the combination has proven to be a hit. Albeit, you may not want to do the two simultaneously. In collaboration with Expedia.com, I’ve pulled together four fantastic wine country destinations in the United States outside of Napa and Sonoma where you can get a good workout, a fun outdoor experience and great wine. Cheers to a relaxing and healthy wine country getaway! Home to more than 200 wineries with access to stunning beaches and rolling hills, Santa Barbara makes for the perfect pairing for wine and outdoor adventures. One of the more unique wine tasting opportunities in Santa Barbara is the Urban Wine Trail. The area also offers an abundant variety of winery hotels to settle into during your stay. Home to 30 wineries in the downtown area you may not want to head into the wine country since you can easily spend the day surfing, boogie boarding, or paddle-boarding at the beach (Leadbetter Beach is a good one for these activities). Then head over to the “Funk Zone” – a neighbored off the beach – where you have a variety of options for food and 15 tasting rooms from local wineries. (See my Intro to Visiting Santa Barbara Wine Country for more.) You might also consider renting a bike or a surrey to explore the waterfront or head up to a few of the other neighborhoods with tasting rooms. The next time I’m in Santa Barbara I totally want to head out to the Channel Islands National Park. It’s an archipelago where you can kayak through caves, snorkel in pristine waters, and hike. Sounds like the perfect way to spend the day before a wine and dinner pairing. If you do want to get out among the vines, consider peddling your way through the Santa Barbara wine country. Bicycling through beautiful vineyards, rolling farmlands and stopping at local wineries is an amazing way to sip and stay fit. 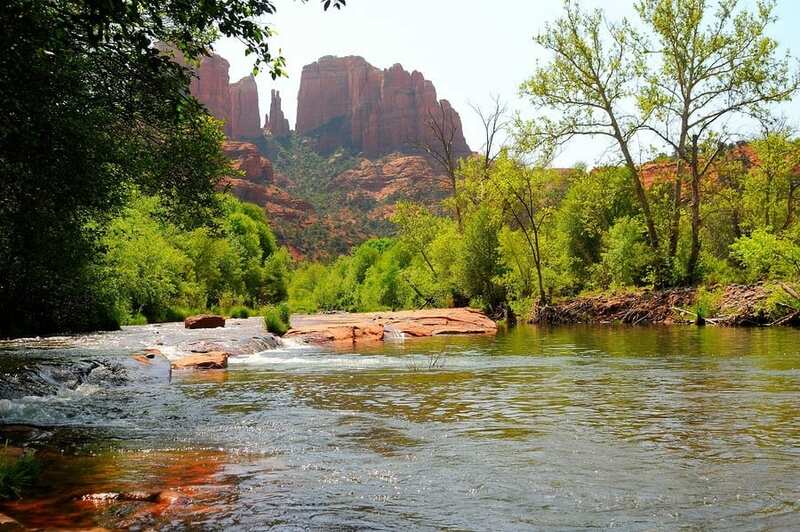 Sedona is a little oasis in Arizona perfect for a wine country adventure. Winemaking here began in the late 17th century when Franciscan missionaries planted the first vineyards in the state. 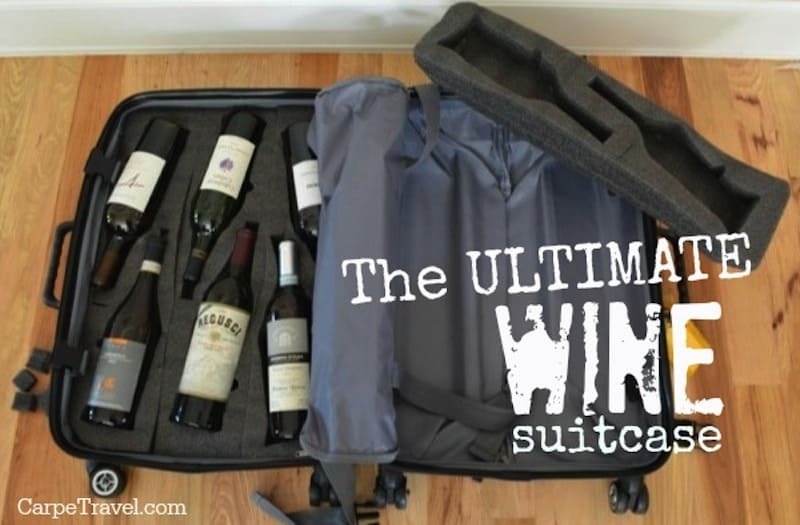 Clearly times have changed but the adventure is still there and there is wine to be explored. If you’d rather roll down the Verde Valley Wine trail, try a bike tour or even a Sedona Segway Tour. Now, sipping wine and balancing on a Segway doesn’t really pair too well so…I suggest you stick with a combo tour such as the one Sedona Segway Tours. You have a few hours to roll about to check out Sedona and are then whisked away – by a driver – to sip in the local Arizona wines. Regardless of how you sip your way through the Verde Valley, you’ll need a place to lay your head. Here are some great Sedona wine country hotels to explore. Want to know more about Arizona Wine? See our Arizona Wine & Travel Guide. Three hours west of Denver you’ll find the Colorado wine country. The little town of Palisade is located in the heart of the Grand Valley, one of Colorado’s official AVAs. Home to more than 25 Colorado wineries, Palisade is a must visit for wine lovers, and for those seeking outdoor thrills – the pairing is equally delicious. One of the best ways to see the Colorado wine country is on two wheels. Any of the local bike shops in town can set you up to do a self-guided winery tour. Maps of all the wineries are available at the Visitor Center, your hotel will more than likely have them too. I also suggest checking out Map My Ride before you set out, to you know – map your ride. 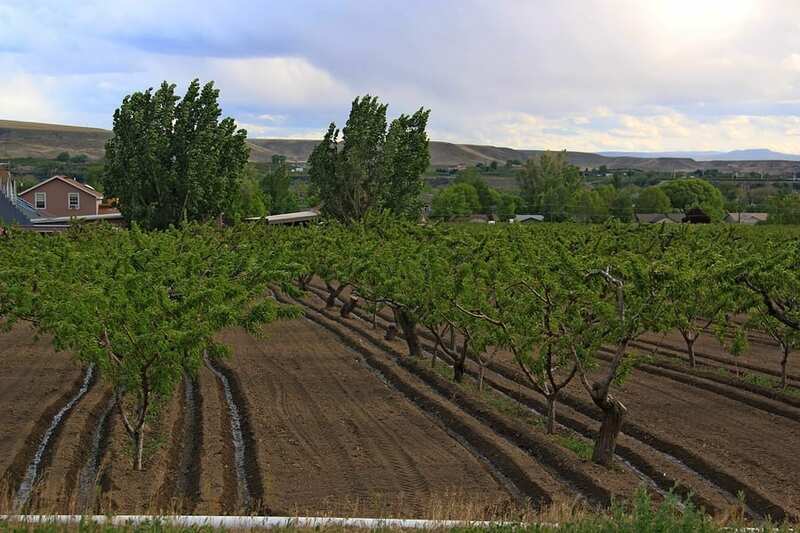 The Palisade Fruit & Wine Byway, aka “The Fruit Loop” is one of the popular biking routes through the Colorado wine country as it takes you along the Colorado River, in and out of vineyards, tasting rooms, orchards and fruit stands. Topped off with stunning views of the Grand Valley. To clarify, the tour does not stop at any vineyards. But, you can take your own wine to do your own, private tastings. Those aren’t the only outdoor activities in Palisade though. East of town, you’ll find DeBeque Canyon and the Colorado River State Park where you can camp, fish and boat. For horse lovers, check out the Little Bookcliffs Wild Horse Range, home to 30,000 acres of rugged terrain and herds wild horses. 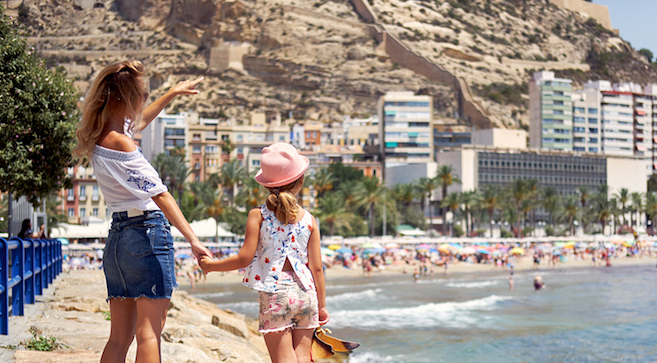 We’ll be exploring Little Bookcliffs this summer, but don’t tell Princess Two – it’s a surprise! There are a variety of winery hotels and B&B’s in Palisade to pair with your Colorado wine country experience. Want to know more about Colorado Wine? See our Colorado Wine & Travel Guide. Philadelphia is often overlooked as a wine country destination. But, did you know Pennsylvania is home to more than 200 wineries with the first vineyard in the state planted in Philadelphia back in 1683? The city of “Brotherly Love” has a long, colorful history in shaping the United States, including wine production in the United State. If you’re planning to be in Philadelphia and want to hit the wine scene in town check out Jet Wine Bar. Pinot Boutique is also a great choice with its daily wine tastings and Panorama’s 800+ wine list is insane. The one caveat is these places don’t always have a wide selection of Pennsylvania wine – if any – to choose from. But, they’re awesome spots if you want to spend the day exploring Philadelphia on a walking, biking or Segway tour. There are soooo many things to do in Philadelphia! I personally recommend getting outside of town to explore the wine country. Just 35 miles outside of Philadelphia you’ll find three official wine trails. I suggest sticking to the Brandywine Wine Trail in Chester County which intersects with the Montgomery County Wine Trail, allowing you to easily hit two trails if you wanted. But you won’t just find wine along these two trails. Picture starting your day off with a hot air balloon ride over the rolling hills or teeing off at one of the 10 golf courses and then heading out to sip your way along the trail. Perhaps a scenic canoe trip down the Brandywine River floats your boat. Biking your way through the wine country is also a fun – and fit – way to explore the Philadelphia wine country. Regardless of how you sip your way through the Philadelphia wine country, you’ll need a place bring the day to a close. Here are some great Philadelphia winery hotels to explore. Want to know more about Pennsylvania Wine? See our Pennsylvania Wine & Travel Guide. Thanks, glad you found it interesting. Cheers!